Oscar Tabarez estimated that the percentage of North Americans that make it to one of the big five leagues in the world is well below 1%. 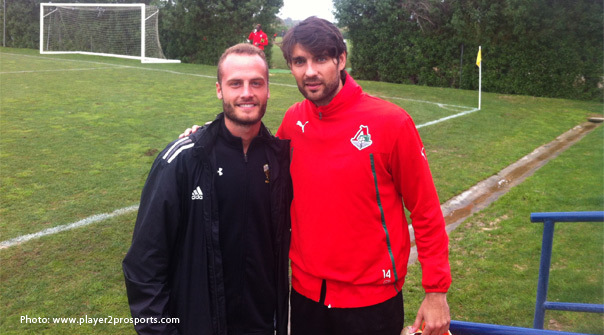 Milovan Kapor has succeeded against the odds after signing a one-year contract with Cadiz FC. The 22 year old was signed to the Andalusia side on a free transfer, making this the first pro-contract the Vaughn native signs, kicking off his European career in Spain where he will be playing his football in the Segunda Divison B, group 4. Kapor, an All-American 2012 East first team selection for UMBC, has been winning awards and standing out from the start of his soccer career, winning a 2008 Ontario cup with his hometown team of Vaughn Azzuri, the Baltimore showcase cup in 2009, and even added scoring two goals on the TFC -18 team to list of accomplishments. Coming from a Serbian background, the Canadian has separated himself from the classic Slavic style of play, and has a smoother presences on the field, being more comfortable on the ball while drifting in and out of midfield and dictating the pace of the game. Making the transition from North American soccer to European soccer is a very difficult process, especially when it is the fast pace, attacking style of Spain. Kapor says that the ball is kept on the ground for the most part, and they give much more importance to a player’s movement off the ball, but that he is adapting and working twice as hard as the local players to leave his impression as a foreigner. Although the Yellow Submarines play in the third division of Spain, they have a respectable history in La Liga, playing 12 seasons in Spain’s top league. The club is also notable for being represented in the past by big name players such as Duda, Kiko, Medina, Estoyanoff and El Salvador’s best player and Actual Cadiz legend Jorge ‘Magico’ Gonzales. Having a population of 120,000 in the city of Cadiz doesn’t stop the ‘Cadistas’ from selling out their stadium on an almost regular basis. Also being awarded the title for best fans by Real Madrid, the supporters are notorious for their passion of the club despite the division or results.